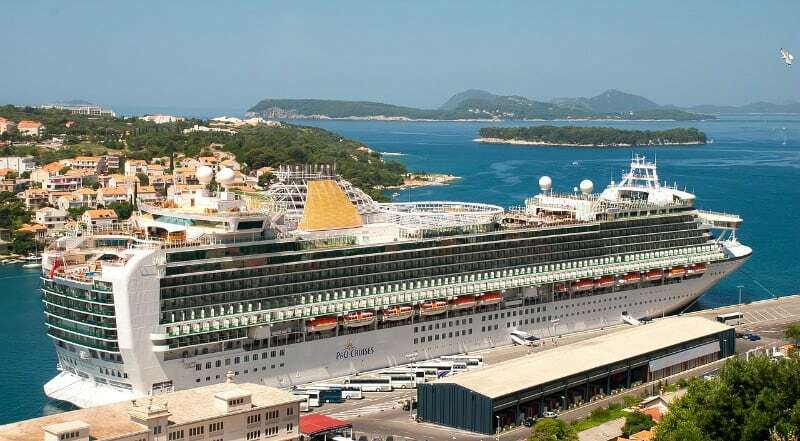 The Independence of the Seas is one of the UK’s favourite cruise ships, and since her multi-million pound refit she’s also managed to go up in her guests estimations. 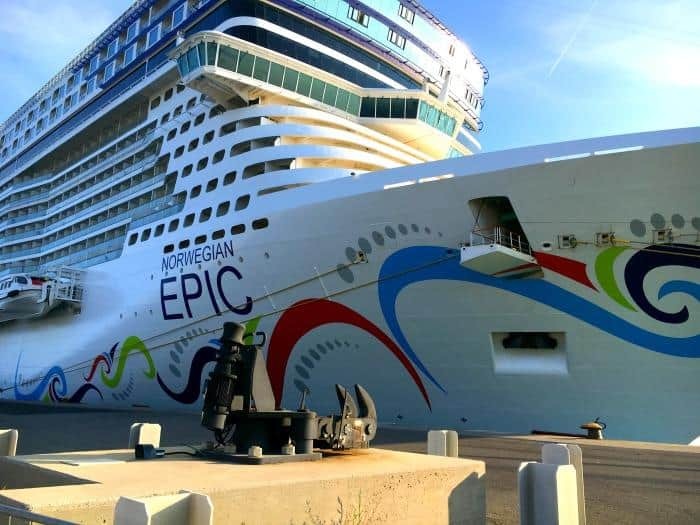 This Royal Caribbean Freedom-Class cruise ship has spent the best part of the last 10 years sailing from Southampton during the summer months, showing UK cruisers the true meaning of what it is like to have fun at sea. If this is your first time on the Independence of the Seas cruise ship, or your first visit since the introduction of the new ‘amplified’ features this post will provide you with all the Independence of the Seas tips you need to make the most of your time onboard. Take a deep breath and start your ascent on the awesome climbing wall to begin enjoying the many Independence of the Seas activities on board this cruise ship. When you reach the top you can pride yourself on being around 200 feet above the sea! That’s definitely a box ticked for the cruise bucket list. Visit the SkyPad for some incredible virtual reality trampoline based fun at sea. This is a huge hit with the kids. Have some wet and wild frolics with the kids in Splashaway Bay. As one of the new Independence of the Seas facilities, this is one of the best water parks you will find on a cruise ship with every fountain and water feature imaginable to cool little ones down on those blue sky days at sea. Take on the Perfect Storm water slides which include translucent tunnels for extra thrills and spills while on your Independence of the Seas cruise holiday. If boogie boarding or surfing are your thing, then a visit to the Flowrider is essential. Just be aware this is only suitable for 6+ years and a minimum height requirements applies. Play Laser Tag with your fellow cruisers as you take on the Battle for Planet Z, but who will be victorious? This is one of the more competitive Independence of the Seas activities, but it promises to be a lot of fun. Visit the Escape Room if you dare and unlock your inner hero to rescue the time travelling professor lost in space. Go ice skating on the Independence of the Seas at Studio B. Did you know you can play a round or two of mini golf on the 9 hole golf course on the Independence of the Seas. This is one of the Independence of the Seas activities that are available 24 hours a day, just pop along and pick up some irons and enjoy. Enjoy Broadway style shows including a high energy performance of Grease or songs from the famous Take That Experience taking to the seas on this newly refurbished Royal Caribbean ship. You can also enjoy late night comedy in the 1300 seat Alhambra Theatre onboard Royal Caribbean’s Independence of the Seas. Enjoy all the glitter and sparkle that goes with the breath taking professionally choreographed Ice Shows. Visit the On Air Club and raise a few smiles enjoying your favourite karaoke song at sea or challenge family and friends to an intense game of virtual bowling. Visit the Pyramid Lounge and enjoy some traditional Independence fo the Seas activities with fun themed quizzes, bingo and another fix of onboard karaoke. You know you want to! Visit Boleros, one of the Independence of the Seas bars for an evening of live salsa and signature mojitos. 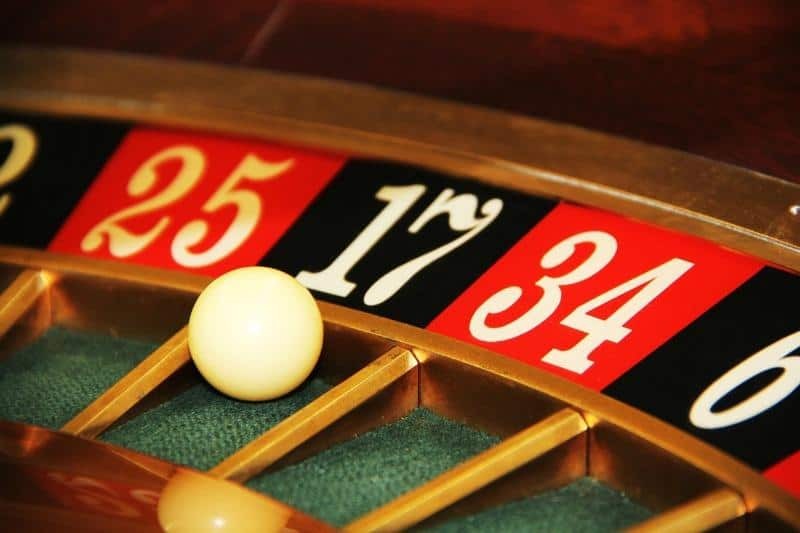 Spend an evening at the Casino Royale and play one or two of the 270 slot machines, place a bet on the black jack tables, roulette or try your hand at Texas Hold’em Poker. Enjoy a complimentary glass of champagne while you bid on your favourite pieces at the onboard Art Auction and pick up a unique memento of your cruise to take home. Don’t take a book! Pick up a new title to read for your cruise and spend some time relaxing in the library on Deck 7, any time of day or night. There’s something for everyone with children’s books to reference guides available onboard the Independence of the Seas. Dance the night away at the Labyrinth Night Club inspired by the famous landmark we all know and love, the Tower of London, complete with Beefeater, stained glass windows and gothic style balconies across the 2 decks of this popular late night hot spot. There’s no doubt that you will spend a night or two in the stunning main dining hall spread over 3 decks with balcony seating and jaw dropping chandeliers. I also hear that the cruise food is to die for in this lavish Independence of the Seas restaurant! If you would prefer a more relaxed dining experience you have the Windjammer cafe buffet style restaurant onboard. Also, pop along to Giovanni’s Table for family friendly Italian dining and the Chops Grille steakhouse on Deck 11 when you fancy a change of scenery. With this selection of Independence of the Seas restaurants to choose from, there is definitely something for everyone. Fancy an English style pub? Pop into the Dog & Badger on the Royal Promenade for a good old fashioned pint after a busy day exploring the local port. For an evening out with the girls, what better spot than Vintages Wine Bar. The perfect Independence of the Seas bar to visit before or after dinner, or both! For cigar lovers, why not visit the Connoisseur Club, a luxury bar available to all cruisers that sells not only the finest whiskies but also cigars if that takes your fancy. If you are celebrating a special occasion while you are on your cruise, make a date to visit the Independence fo the Seas Champagne Bar on Royal Promenade during your trip. For a relaxing evening at sea, the Schooner Bar is the place for great cocktails and enjoying the live pianists in these nautical inspired surroundings. Visit Olive or Twist on Deck 14 for great martinis and live music alongside a gorgeous birds eye view of the ship. If you make it around all the Independence of the Seas bars during your cruise, I will be very impressed! The first place to take your kids when you get on board Independence of the Seas is Deck 12, as this is the hub of the children’s facilities and entrainment programme. Get them signed up to the Independence of the Seas kids club so they can enjoy the fun from the off. Babies and tots aged between 6 and 18 months can visit the Royal Babies facility along with parents for learning and play in fun surroundings (applies to sailings from Southampton). Little ones aged between 18 and 36 months can join the Royal Tots kids club for fun learning and play with the ships qualified staff. Older children aged between 3 and 11 years old can head along to the Adventure Ocean programme included in your cruise until 10pm at night. The Aquanauts (3-5 years old), Explorers (6-8 years old) and Voyagers (9-11 years old) have designated areas to enjoy a range of fun activities from arts and crafts, theatre workshops and scavenger hunts. If your siblings are close in age, you may want to plan your cruise so they can be in the same Independence of the Seas kids clubs during the cruise. 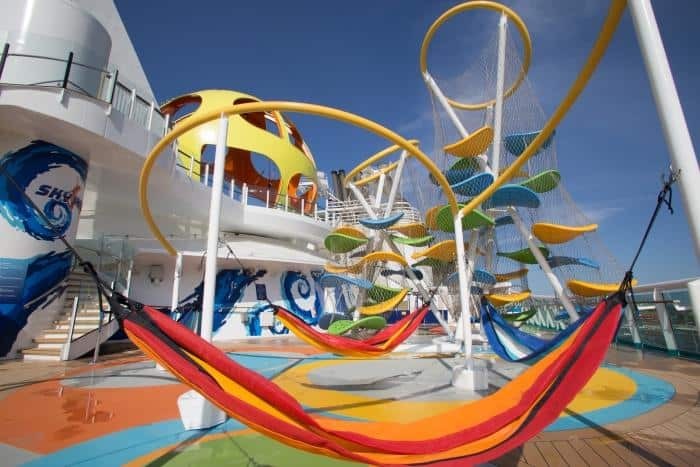 If you are going on your Royal Caribbean cruise with teenagers they can enjoy some independence while visiting the Living Room, a cool hang out for kids aged between 12 and 17 years old where they can come and go as they please. Take the kids for a visit to Jonny Rockets for the best milkshake at sea. The onboard arcade, filled with blasts from the past and new trailblazers is bound to be a hit with older kids wanting another cool place to hang out and make new friends. Fancy a game of basketball? The onboard sports courts are perfect if you want to catch a game, but don’t forget to pack your sports shoes and kit for your cruise. No one wants to be disappointed now do they? It’s not only the kids that get to burn off some energy and relax onboard Independence of the Seas. The adult only solarium is the perfect spot for some peaceful sunbathing or taking a break in the Jacuzzi while enjoying passing the sea views. If you are a real gym bunny, then you will love the fully equipped fitness centre and exercise classes at the Independence of the Seas gym to burn of some of those excess calories consumed in the ships restaurants. For running and power walking, take a visit to the running track on Deck 12 to add some fresh sea air to your cruise fitness regime. If you want a full body massage, revitalising facial or a new manicure, book your visit at the Independence of the Seas Vitality Spa as soon as you board the ship, as the popular slots go quickly. Want to be outside, but don’t fancy a sun lounger? The cool and colourful hammocks with sea views will tick all the right boxes for you and is a fun place to be. 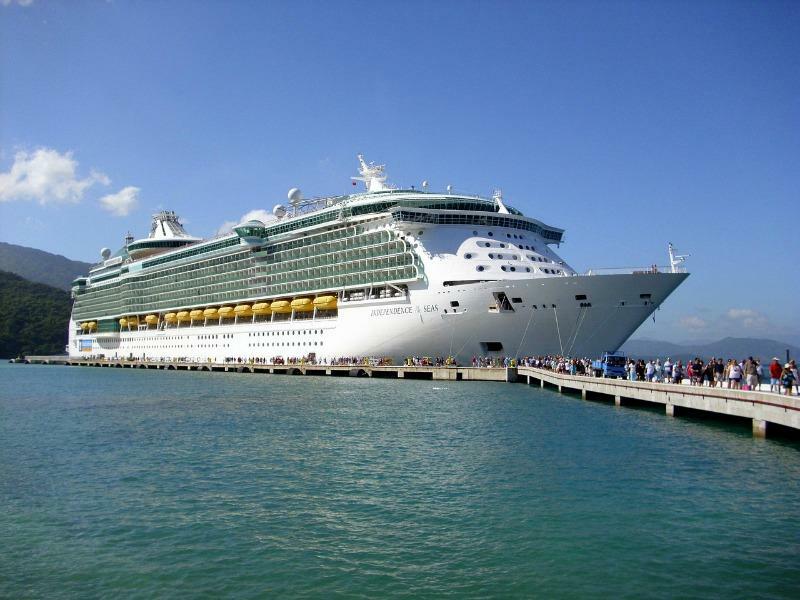 Book your Independence of the Seas shore excursions early, ideally before your cruise. If you haven’t had chance to book, visit the shore excursion desk at the beginning of your cruise as popular trips sell out quickly. 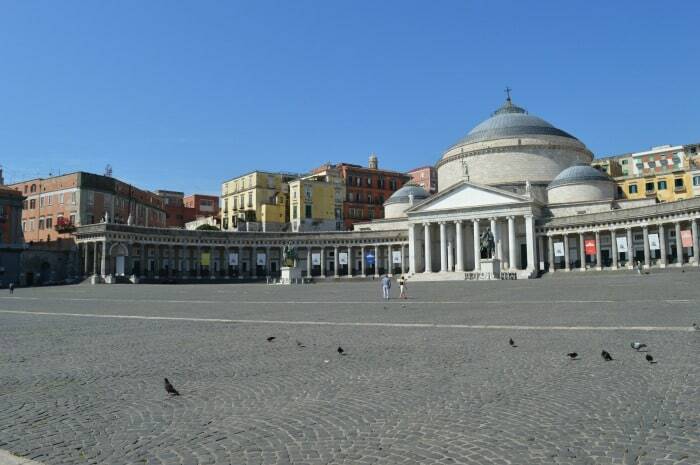 If you are undecided about taking the shore excursions, this post might help you out. The Royal Promenade isn’t just lined with bars and eateries, it’s also the place for a spot of shopping while onboard the ship so make a window in your itinerary for a little browsing while you are on board. Visit the photo gallery on Deck 4 before the end of your cruise to buy any professional photos you want as keepsakes. Don’t leave it until the last minute as you might miss the boat (sorry, I couldn’t resist). If you need internet access while onboard Independence of the Seas, visit Royal Caribbean Online on Deck 8 for to get connected, but fees do apply. Need more inspiration? Read Birds and Lillies blog post about visiting the ship in Southampton. 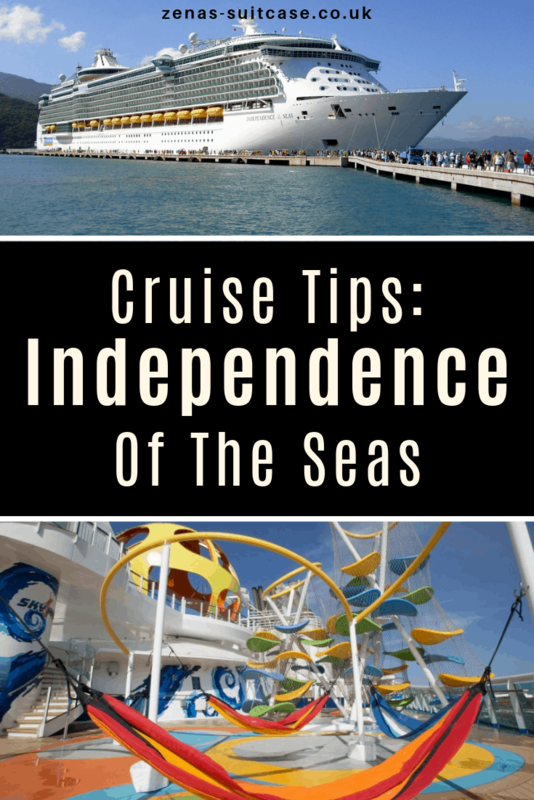 If you are reading this post because you are counting down the days to your Independence of the Seas cruise holiday, I hope I’ve inspired you to make the most of the onboard activities and facilities and all that’s left to do is wish you a bon voyage! Amazon Fire HD 10 Edition - Best Tablet For Kids?